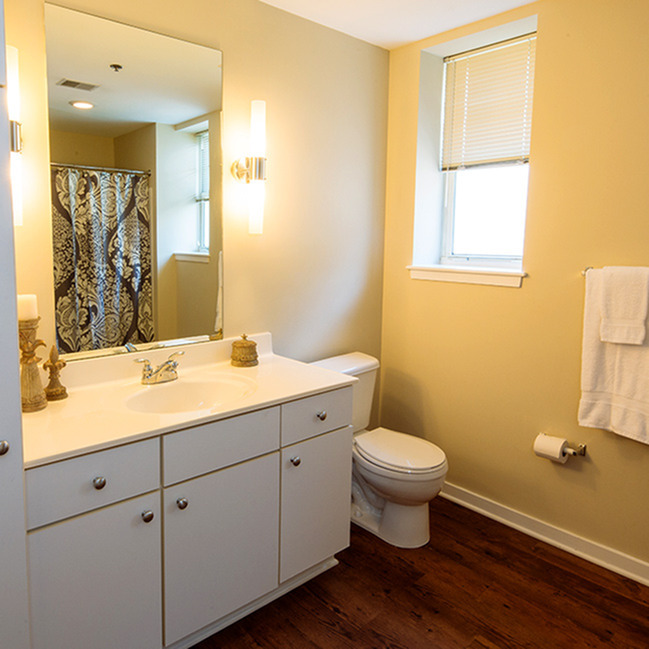 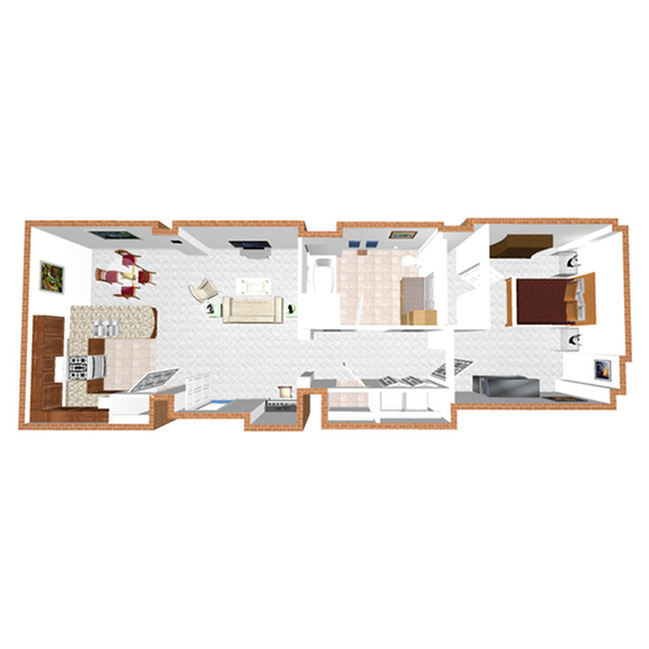 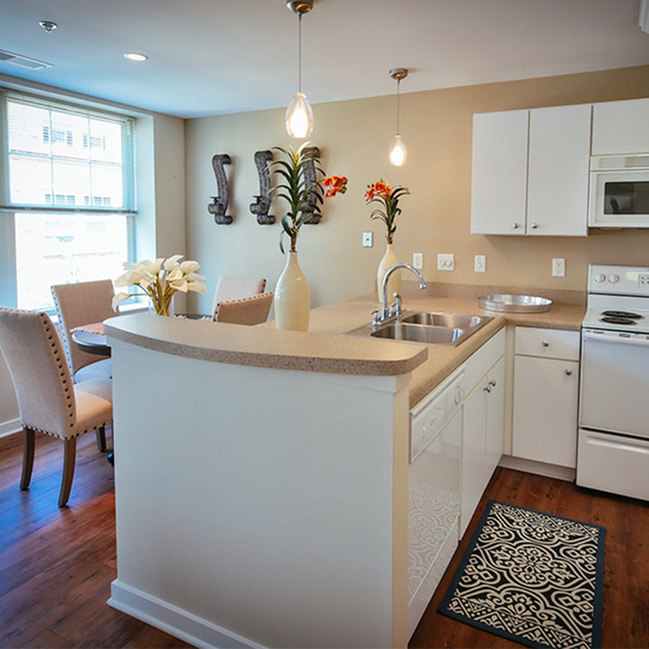 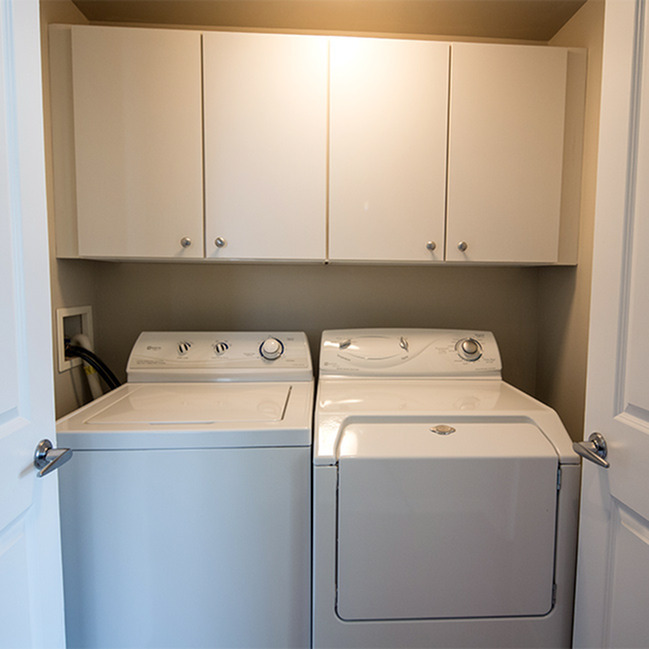 The Laclede is a one bedroom, one bathroom apartment home with an elegant open floor plan. 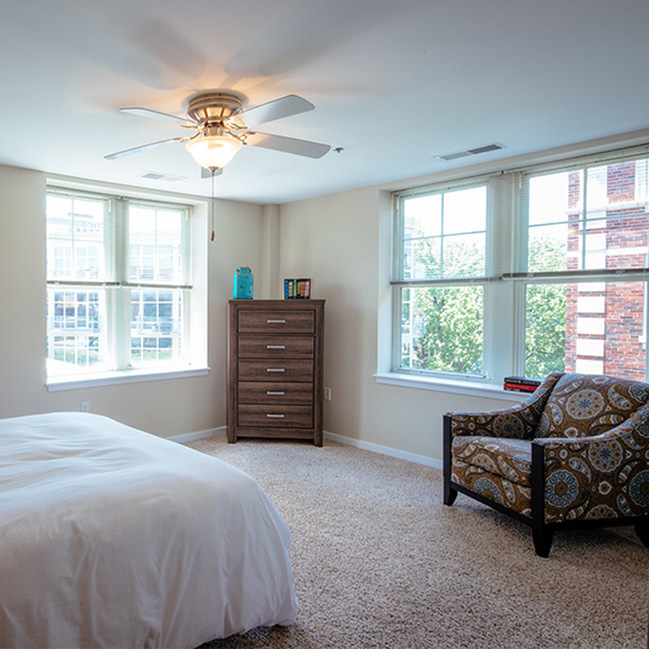 The 895 square feet corner apartment faces southeast overlooking one of our scenic courtyards. 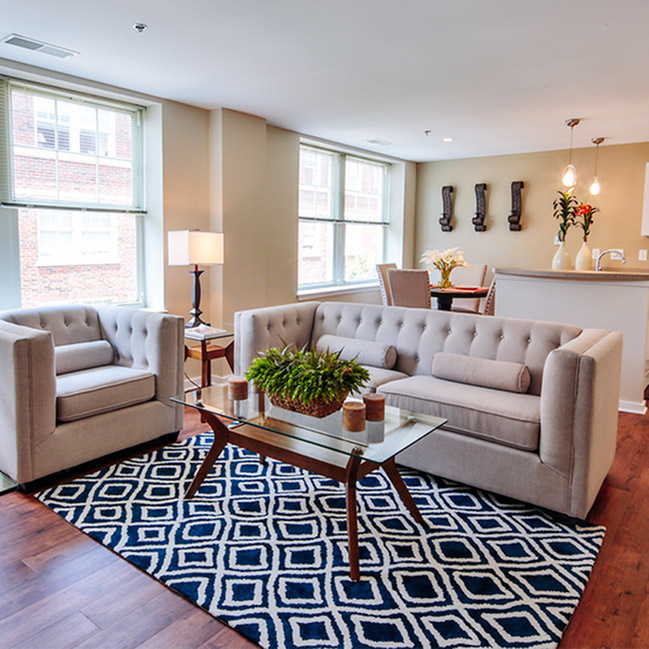 Large windows allow natural light to pour into the apartment highlighting the intricate, historic hall archways that add to The Laclede's charm and character.